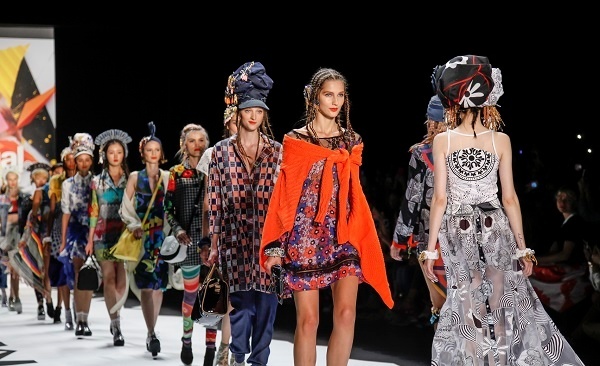 Fashion Week, whether it’s in London, Milan, New York or Paris, it is these events that shine the brightest spotlights across the fashion industry and the need for accessibility for consumers, is increasingly in demand. So, how do some of the biggest names in the fashion industry utilise cross-channel accessibility throughout this chaotic period? We discuss the approach from brand icons including, Michael Kors, Sunglass Hut and Burberry. This year’s A/W 16 New York Fashion Week, witnessed a consumer-focused approach from the iconic Michael Kors brand. As the Business of Fashion (BOF) reported, the runway show on 17th February included a capsule collection that went on sale immediately after the event, available for purchase cross-channel – both in their ecommerce store and their Collection store on Madison Avenue. Delivering what the consumer wants, when they want it, is starting to form a large part of customer satisfaction. Takeaway tip: Connecting events, whether it’s a physical event or a digital event, to your store, helps ensure your products are always accessible to the consumer. If you fail to connect your products to your audience, it's easy to lose that connection with them as soon as they leave the event. Even something as simple as giving them a discount code to encourage all customers to browse the products online after the event can work. As principal sponsors of A/W 16 London Fashion Week - Sunglass Hut - embraced the photo-sharing app Snapchat in a bid to get consumers who weren’t attending the fashion shows involved and engaged in the event. With live update videos and the chance for customers to even win tickets to the prestigious event, the brand’s approach managed to connect their social audience with the physical. Takeaway tip: Don’t be afraid to try new social channels! But, before you dive head first into any new channels, carrying out some preliminary research into just how much of your target market are utilising this channel, is crucial, you don’t want to waste your time. Burberry have historically utilised Snapchat perfectly. In a fashion first, they created hype around their S/S 2016 collection back in October 2015 by streaming their collection shoot live! Intrigued followers could then see exactly what behind the scenes at a Burberry photoshoot with Mario Testino looked like. Talking about the live streaming, Testino told Mashable, "Fashion is all about moving forwards.” And with brands now having the ability and accessibility to seamlessly integrate channels with their products, the level of accessibility expectation from the consumer will climb ever higher. Takeaway tip: You need to make sure your brand is moving forwards, as Testino eludes to. Fashion is a volatile industry, make sure you’re keeping an eye on the competition and innovate your brand to stand out, creating a buzz around a new collection or a new competition can help elevate the presence of your brand enormously. Need help getting your fashion brand heard? Check out our Case Studies page, where we’ve helped many fashion sites, from Erdem and Sweaty Betty, to Matchesfashion.com and heidi klein!